Free-to-play (F2P) is a revenue model for games that give access to large portions or the entirety of the game’s content for free. A common monetizing feature is a cash shop for micro-transactions of in-game items or access to additional content. Some free-to-play MMOs are ArcheAge and TERA. 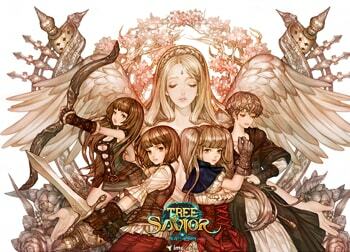 Tree of Savior (트리 오브 세이비어) is an isometric MMORPG or ‘massively multiplayer online role-playing game’ set in world plunged into chaos where you embark on a journey to search and rescue the goddesses. 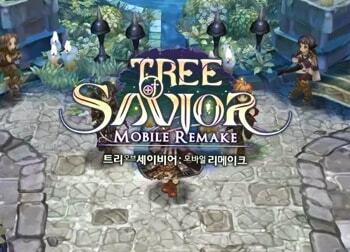 The game was developed by Kim Hakkyu, creator of Tree of Savior’s spiritual predecessor Ragnarok Online. The game’s background music was done by various groups and artists like SoundTeMP, the team responsible for the soundtracks of Ragnarok Online and Granado Espada. European Publisher: IMC Games Co.
North American Publisher: IMC Games Co.
South America Publisher: IMC Games Co.
Tree of Savior: Mobile Remake is the mobile MMORPG or ‘mobile massively multiplayer online role-playing game’ rendition of the popular isometric MMORPG Tree of Savior. The game offers similar gameplay to the original PC version where you play as one of four base classes of Archer, Cleric, Wizard or Swordsman to complete quests and venture in dungeons. 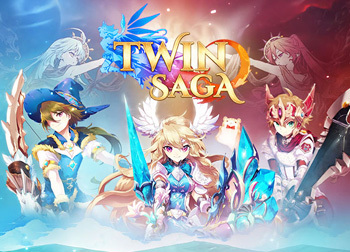 Twin Saga is a fantasy MMORPG or ‘massively multiplayer online role-playing game’ set in a world with factions locked in a holy war. Each faction worships their own deity, one is evil and other is in need of your assistance. Travel through the anime-inspired world of Aetherion and help the fallen goddess save your world against the evil forces of her twin. Ultima Online is an old-school fantasy isometric MMORPG or ‘massively multiplayer online role-playing game’ that set many standard features for games in the multiplayer RPG genre. Unique multiplayer mechanics in the game like fighting in groups for leveling, crafting, dungeon crawling, fighting with fellow players, exploring a persistent world were ultimately made into staples of MMOs after the turning point that was Ultima Online’s release. 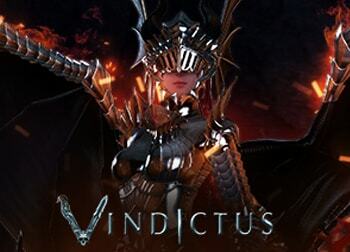 Vindictus (마비노기 영웅전) is an MMORPG or ‘massively multiplayer online role-playing game’ set as a prequel to the popular MMORPG Mabinogi and is referred to as Mabinogi Heroes in Asia. Vindictus takes place several hundred years prior to Mabinogi in a time of great hatred and war. The world consists of instanced zones with some open areas. 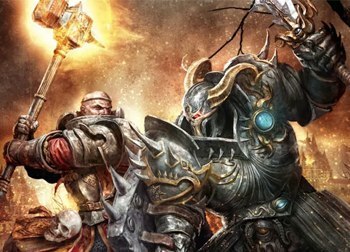 Steam Publisher: Nexon America Inc.
Warhammer Online: Age of Reckoning is a fantasy MMORPG or ‘massively multiplayer online role-playing game’ with an emphasis on various types of large scale and small scale PvP. Players experienced faction based brawls, Realm vs Realm action and public quests in the game’s open world. 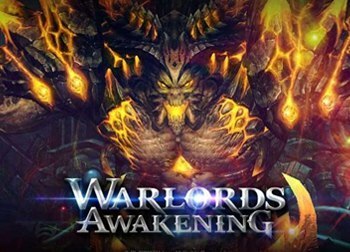 Warlords Awakening, also known as Elite Lord of Alliance (ELOA) and Inspirit Online, is an anime inspired action MMORPG or ‘massively multiplayer online role-playing game’ that is set in a massive open world called Epheia. Players can carry 3 weapons with their own skill sets. Explore the lands, collect pets and craft new gear to improve your chances in the competitive PvP arenas. 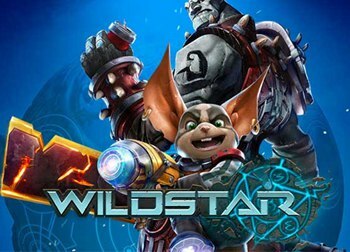 WildStar is a sci-fi fantasy MMORPG or ‘massively multiplayer online role-playing game’ set in the planet of Nexus, where a race called the Eldan have disappeared. Now you and other fellow adventurers are re-discovering the planet and all the wealth it has to offer. 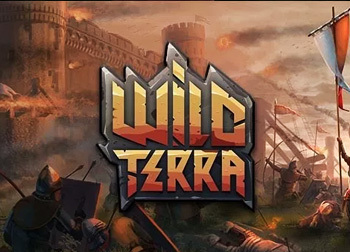 The game combines sci-fi and fantasy elements with a fast-paced and wild action combat.